Our expert epicure continues an undercover operation to bring you the truth about Jakarta’s dining scene. No spoon is left unturned in the quest for honest, balanced reviews, from long-established favourites to the hottest new tables in town. Pop quiz time. Where in Jakarta are you most likely the come across the following: a horde of Dynasty-haired ibu-ibu at arisan, possibly with a small dog in a Chanel handbag under the table; a bunch of ‘business lunching’ bules who may or may not be able to discuss those numbers after that third Bintang; and two or three mouse-like tourists, peering keenly around the room and taking copious photographs? If you didn’t guess Seribu Rasa, back to school for you. Because everyone knows this popular Southeast Asian restaurant is the bees’ knees for people-watching in Jakarta, putting on as it does a veritable floorshow of the Big Durian’s myriad walks of life. 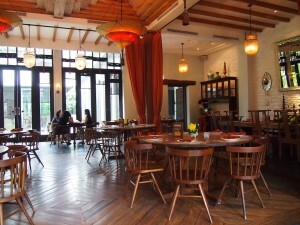 They also happen to do some of the best upmarket Indonesian fare in town. 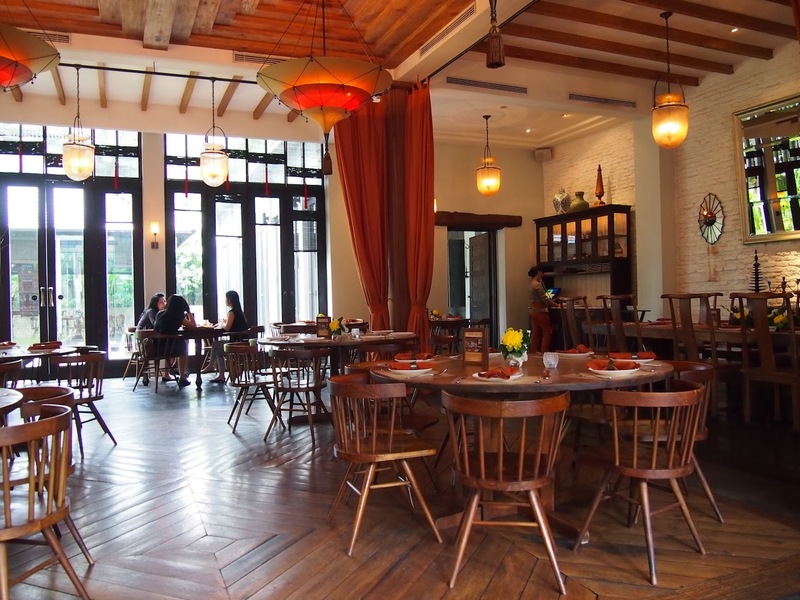 Seribu Rasa is one of those rare eateries that mysteriously manages to retain that ‘just-opened’ vibe; still buzzy despite several years’ passage since the 2009 Menteng opening. The lasting popularity of the restaurant must surely hinge on its careful attention to the food, balanced with a relaxed, accessible atmosphere. Clearly a successful formula, with two more locations now open at Gandaria City Mall and Lotte World Shopping Avenue. So, how do they achieve a tranquil ambience a stone’s throw from Jl. Sudirman? 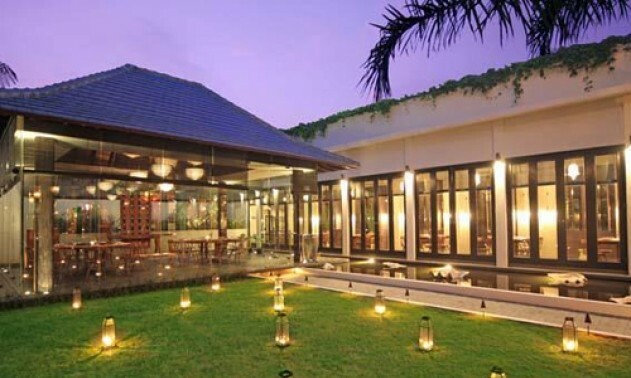 The Menteng premises is actually a series of beautiful, airy, wooden villas interconnecting around peaceful ponds, which brim with koi and other tropical fishes. You could be forgiven for mistaking your surroundings for those of a Bali beach hangout. Immediately, shoulders relax as the warm embrace of Southeast Asia’s unique hospitality envelops you. Inside the breezy dining space, billowing orange curtains play peek-a-boo with the dark teak furniture, creating an exotic haven away from the bustle of the streets. The menu is vast, covering most of Southeast Asia’s blockbuster dishes. I am usually suspicious of picture-book menus — they remind me of fatty fry-ups on the Costa del Sol — but to the uninitiated it might be quite necessary for navigating the culinary waters on offer at Seribu Rasa. In one sitting, you can eat your way from Singapore to Sulawesi, via Koh Samui curry or Pernakan specialities. The great satay debate (much like the great batik debate) still rages on in this part of the world, and like the Switzerland of food, Seribu Rasa wisely chooses to remain impartial, naming their satay after regions in both Indonesia and Malaysia. We chose the Labuan squid (Rp.69,000) which, pleasingly, was perfectly cooked, avoiding that rubbery pitfall many others don’t. It was a fresh alternative to the more common grilled chicken and beef varieties. Remaining staunchly Indonesian for our main course, we found the Minangkabau beef rendang to be delicious. Rendang surprises me with its sweetness every time I taste it, and this was no exception. It was just as unctuous and deeply spiced as expected. It is a modest portion, but for such a rich dish, this is not unwelcome. 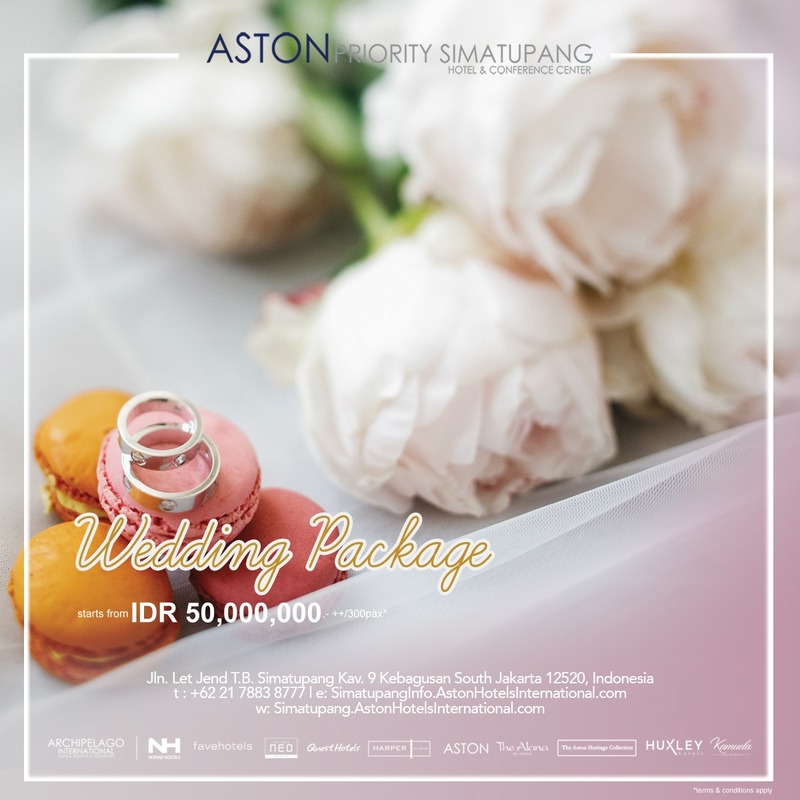 At Rp.109,000, it is clearly one of the most popular menu items, as we could see dishes going out to almost every table. The kangkung balachan side dish (Rp.49,000) was a racy little number to complement our meal. Water spinach freshly blanched and tossed with a bucketful of red chilli and that all-important shrimp paste is, as much as a food can be, quite invigorating. The salty umami taste from a good-quality balachan is so important in this dish, and clearly in this instance it had been properly toasted first before being adding to the dish, to draw out its flavour. We wanted nothing more than a couple of beers for this particular repast, which were brought out with ice-cold glasses. They do have a wine list and of course, the best pairing for most Asian cuisines is something lighter and sweeter like a Gewürztraminer or Alsace Riesling. But to match Indonesian food, sometimes there is really nothing better than Bintang. Overall the wait staff are efficient and friendly, with big, ready smiles at every interaction. They stood out for their ability to advise on menu choices; obviously necessary with such a diverse clientele in attendance. The question of value for money in this kind of place will, I am sure, forever divide opinion. To some, eating this type of ‘haute’-Indonesian is akin to some sort of heresy, when delicious food can be found for a fraction of the price, in far less fancy surroundings. Yes, a lot of it is home-style cooking your mother (OK, your friends’ mothers) can make, and yes, if you have a penchant for tapeworms, you can probably find some of it at a nearby kaki lima, with the added bonus of photo ops of you communing with ‘local culture’ in a suitably rakish demonstration of your expat superiority. But as you can see from our bill, this is in fact a pretty cheap restaurant, all things considered. It just happens to be in nicer surroundings than your average warung. A ‘thousand flavours’ is what we are promised, and it is certainly what this place delivers.